Celebrate your child’s next birthday with Armelle, an award winning artist, educator, experienced teacher and accomplished song-writer. 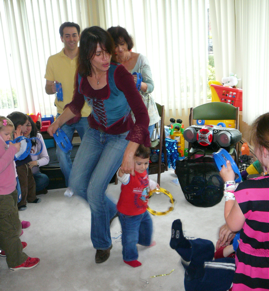 Armelle will travel to your location of choice for a musical birthday party full of life, dancing and fun! 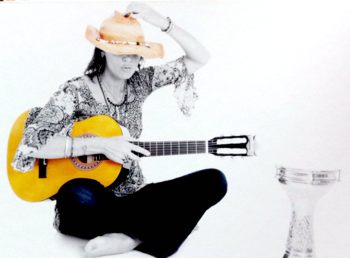 During the 45 minute show with her guitar and original songs (in English, Spanish or French) mixed with well known kid’s favorites, Armelle interacts with children through musical games, maracas, tambourines, bubbles and role play with her special monkey puppet, Petard. 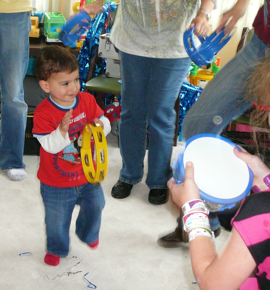 Customize the show to a theme of your choice and include your child’s favorite songs.